OUT ON A LIMB FOR YOU! New Smyrna Tree Service is your trusted tree service company for the New Smyrna Beach, FL area and surrounding communities. We perform every service required related to your trees and your landscape. Our trained technicians can come to your home or business and perform all tree services, including tree removal, tree trimming, tree pruning, and more. We always strive to provide the most affordable and competitive rates in the Volusia county area, and our goal is always 100% customer satisfaction. We do not consider the job complete until you are fully satisfied with all of the work performed. This is how we build long-term relationships with our customers. There are both good and bad things about living in New Smyrna Beach and Volusia County near the ocean. You can go hang out on the beach and catch some sun, or take a swim almost anytime you have free because it’s such a short ride to get to the water. But there are drawbacks to living there too, such as tropical weather and strong winds which can really wreak havoc on the trees on your property and create a big headache for you in a hurry. It’s good to know you are not alone when this happens and New Smyrna Tree Service can take care of any emergency tree service you may need in a hurry. We provide the quickest response in the market, and we'll make every possible effort to get there as quickly as possible and handle any and all of your New Smyrna Beach tree service needs. Hurricanes, tropical storms and other severe weather can come up suddenly and do such things as leave trees uprooted and leaning dangerously, drop branches on power lines creating a potential hazard, and also leave big limbs blocking access to your driveway and road. When this happens you will need to get in touch with us to come and take care of the problem. We have the proper equipment for the job already on our trucks and ready to go to handle any tree removal in New Smyrna Beach. We also know how to handle your emergency tree needs in a safe and efficient manner. We only charge a reasonable cost for these services and many times your homeowners insurance will cover the entire cost. Dealing with emergency tree service in New Smyrna Beach can be very hazardous work. It is always best to let the professionals deal with the situations, as many times this work can be life threatening if you're not properly trained or do not have the correct equipment. Our trained technicians will be there quickly to correctly perform any required work. Tree damage clean-up is not something you want to handle yourself in most instances. Axes, chainsaws, chippers and other New Smyrna Beach tree removal equipment can be dangerous when not being used by a trained professional; not to mention that trees leaning on power lines or branches entangled in them must be taken care of right away to prevent potential fire hazards and to prevent hazards to the safety of the people on your property as well. Emergency tree experts at New Smyrna Tree Service have years of experience handling these types of emergency tree cleanup services. Here are some of the more common types of emergency tree services you may need after severe weather or strong winds affect the trees on your property. As was mentioned, trees leaning on, or branches entangled in, power lines create a very dangerous and potentially deadly situation and must be removed from coming into contact with power lines right away; the importance of this cannot be emphasized strongly enough. Our trained emergency technicians do this type of work on a daily basis, and are very good at doing it quickly, safely, and cost effectively. It can be very frustrating if you cannot get in and out of your driveway because trees or large parts of them are blocking your access to it. The same goes for trees or tree parts that are blocking the roads near you; sure, your local government will provide public road clearance for free but sometimes it can take days of waiting to get it done. At New Smyrna Tree Service, we have all sorts of the best equipment standing by and ready to go on a moment’s notice should you need our many different types of emergency tree services. business has its roof damaged so badly it is leaking. Emergency tree service is not the only type of important tree service that we can provide for you. Our arborists (highly trained tree experts) are often amazed that people do not pay more attention to the maintenance of the trees in their yard because of the important part they play in the looks of home landscapes and how much they impact the other greenery around them too. Here are some other types of tree services that our tree experts offer that will help maintain the health and beauty of the trees in your yard. Perhaps nothing is more important to your trees' health than proper tree pruning and tree trimming New Smyrna Beach. This makes your trees healthier by getting rid of dead and decaying branches, allowing damaging winds to pass through easier and to also let more light get to the interior of the tree. This also helps more sunlight reach the surrounding greenery too to help keep other types of plants and grasses in your landscape healthy also. We are experts in properly performing tree pruning in tree trimming in New Smyrna Beach, FL. It must be done correctly were not only can and jeopardize the health of each branch, but also the entire tree. We often times have to come in and attempt to repair damage that was done by untrained professionals attempting to do their own tree service work. 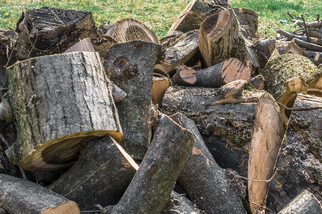 We also perform stump grinding in New Smyrna Beach. We can come in and rid you of the massive and ugly stumps that can hog up all kinds of space in your yard or business area. We have the equipment and personnel to make this job easy, so leave it to the pros and we will take care of everything and always at a competitive price. We are always available, you just have to make the phone call and we will show you why we are the best tree service in New Smyrna Beach, FL. Removing a tree often leaves an unsightly stump behind. We have the expertise to remove these so that the area where the tree was taken down can be 100% reclaimed for any type of planting or other use that you may want to do there. So the next time you have a tree emergency or are in need of some routine tree maintenance around your New Smyrna Beach or Volusia County home, make sure you call our trained professionals to come get the job done for you quickly and in the safest way possible. Please call us today for a free estimate on all of your New Smyrna Beach tree service needs at 386-267-8027. We'll be there to clean up the mess that Mother Nature sometimes leaves!